"There is no military solution in Iraq, only a political one." General David Petraeus's aphorism is about the only thing on which war proponents and opponents agree. The question is why so few American policy makers hold the same view about Pakistan. As Pakistan's recently elected government negotiates a ceasefire with militants, Washington worries – with good reason – that the deal will simply give Pakistan's Taliban and their allies a free hand to launch attacks in neighbouring Afghanistan or plan the next 9/11-type attack on the United States. As General Petraeus takes over Central Command, which has military responsibility for 27 countries in the Middle East, North Africa, and South Asia, America's options in Pakistan become much clearer when examined through the lens of the US experience in Iraq. Across sectors, classes and ethnicities, Pakistanis swept President Pervez Musharraf's party out of power along with religious parties in the North West Frontier Province. In a stroke, Muslim voters in Pakistan rejected both extremism and the military means employed to fight it. Even as Pakistanis themselves, like Benazir Bhutto, fell victim to terrorists, opposition to the military campaign was universal. The widespread perception was that US President George W. Bush's "war against terror" in Pakistan was ineffective, produced too many civilian casualties, and served to enrich and empower the military establishment. In the end, many Pakistanis concluded that it was America's fight, not theirs. No one more than Petraeus appreciates the importance of a stable government able to win popular support for a counter-insurgency. But unlike in Iraq, the challenge facing the new government in Islamabad is not only to gain the confidence of the population in regions where terrorists operate, but to convince an entire country that counter-insurgency initiatives are necessary. That task could now become more difficult with the fraying of Pakistan's Prime Minister Yousaf Raza Gillani's coalition government as they work to reinstate the Supreme Court Justices. Political jockeying, unresolved constitutional issues – including the question of Musharraf's future – and a looming economic crisis already compete with the extremist threat for urgent attention. A secular Pashtun party is leading the effort to cultivate tribal leaders to adopt a pro-government stance in exchange for development and political reforms. Unlike in Iraq's al Anbar province, tribal leaders in Pakistan's border areas are not acting out of their own volition to fight an enemy, but simply being asked to stand down after bruising the country's military. 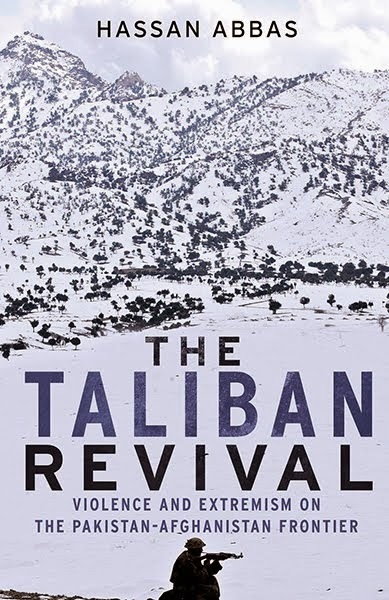 Given both tribal sympathies towards the Taliban – and fear of their ruthless tactics – it is doubtful whether development and political reforms will be incentives enough. Like its Iraqi counterpart, the Pakistani army is severely limited in its capacity to wage counter-insurgency. But there is a major difference: it is far less clear in Pakistan who the military sees as its "enemy". While its army's main intelligence apparatus, the Inter-Services Intelligence Directorate (ISI), often cooperates with US intelligence, the ISI retains its ties with the Afghan Taliban and other anti-Kabul armed groups. These groups find sanctuary in Pakistan's border areas where they are viewed as strategic assets, despite their collaboration with al-Qaeda and Pakistan's tribal militants. Sensing international fatigue at the flagging endeavour in Afghanistan, Islamabad eyes these militant groups, together with Pakistan's own patronised extremist organisations, as a "reserve force", providing Pakistan with a sphere of influence over its neighbour. In short, the Pakistani army wants little more than a military disengagement from tribal militias. With a part of the Pakistani security apparatus deeply intertwined with the Taliban and other militants linked to the wider network of terrorists, greater civilian rule that brings transparency and control over the intelligence services should be welcomed, not feared. Accommodating Pakistan's tumultuous changes is among the greatest foreign policy challenges of the day. General Petraeus's new appointment is the occasion to look at Pakistan through the lens of Iraq. Instead of recoiling in anxiety, the way forward is to embrace Pakistan's democratic development and use it to advance American's urgent security goals. 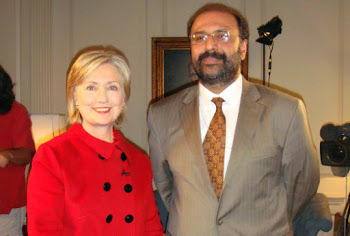 Marvin G. Weinbaum is scholar-in-residence at the Middle East Institute and a former State Department analyst for Pakistan. Edward P. Joseph is a visiting fellow at Johns Hopkins School of Advanced International Studies.